These cable ties are also great for when you're NOT traveling! See below. Promising review: "I love these things. No, seriously. They have so many uses that I didn't even think about when I initially ordered them! I bought them to use as cable ties for my desk, but I've also started using them to wrap cords for stored appliances, to to keep my headphones from getting tangled in my purse, and I even use them to wrap the handles of my canvas grocery bags together to keep stuff from falling out!" —Nicole N.
Get a pack of 20 from Amazon for $6.99. And if you're just tired of dealing with headphone cords, check out our pick for the best cheap wireless headphones on BuzzFeed Reviews. 2. A travel wallet because there is NOTHING WORSE than losing a connecting boarding pass while on a plane. Is it underneath your seat? In the carry-on you stored in the overhead compartment? DID YOU DROP IT EN ROUTE TO THE PLANE? Having a wallet that holds ALL your important documents — your passport, your itinerary, your boarding passes — in one place will give you serious peace of mind. Especially if you have connecting flights!! While the person next to you is frantically searching for their papers, you'll just be sitting there. Sneering. Mean, but true. Get it from Amazon for $10.99+ (available in 28 colors). 3. 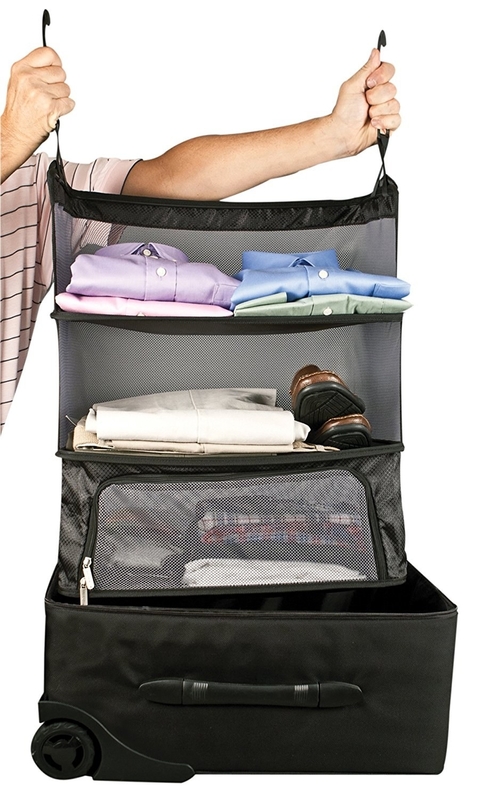 A TSA-approved transparent organizer so that you don't have to fish around your suitcase for liquids (and then stuff them in a clear baggy) while going through security. 4. A luggage set that doesn't cost a fortune, even though it's amazing quality would make you *think* it did. These hard-sided, super lightweight luggages can FIT SO MUCH! Plus, it has double-wheels with 360-degree navigation (in English, that means you can run through the airport with this thing and it's all smooth sailing). AND! It has a 10-year warranty. Get this set from Walmart for $189 (available in four colors). 5. Vacuum storage bags perfect for anyone traveling for months at a time. 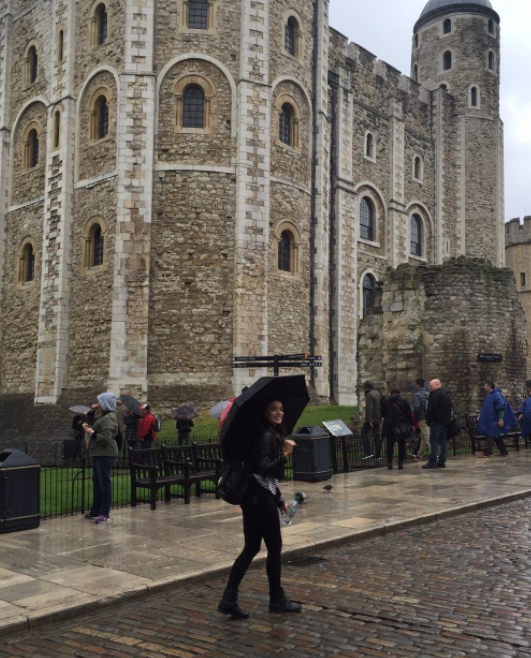 Studying abroad and need to pack both coats AND beach towels? This will save you SO much space. 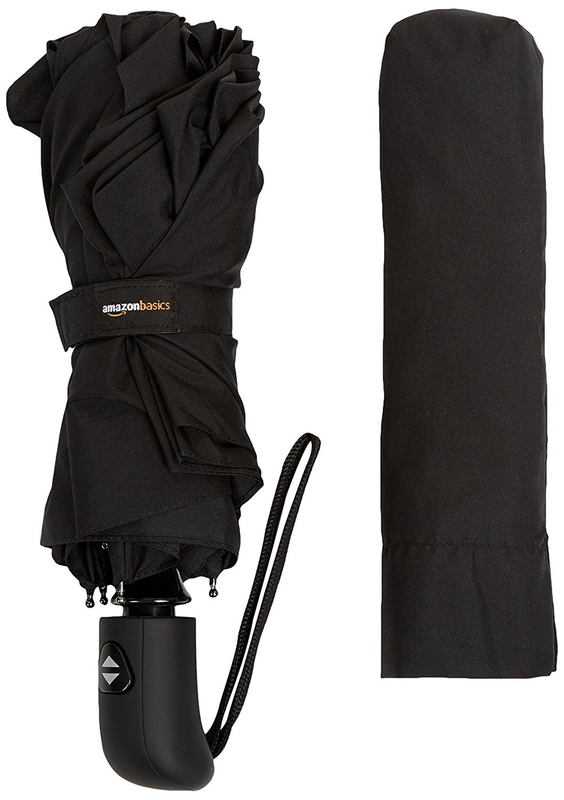 Get them from Amazon for $24.99+ (for a medium- and large--sized bag, plus a hand pump). 6. A tiny, lightweight laundry bag to keep your dirty socks and wine-stained tops away from all your clean, fresh clothes. 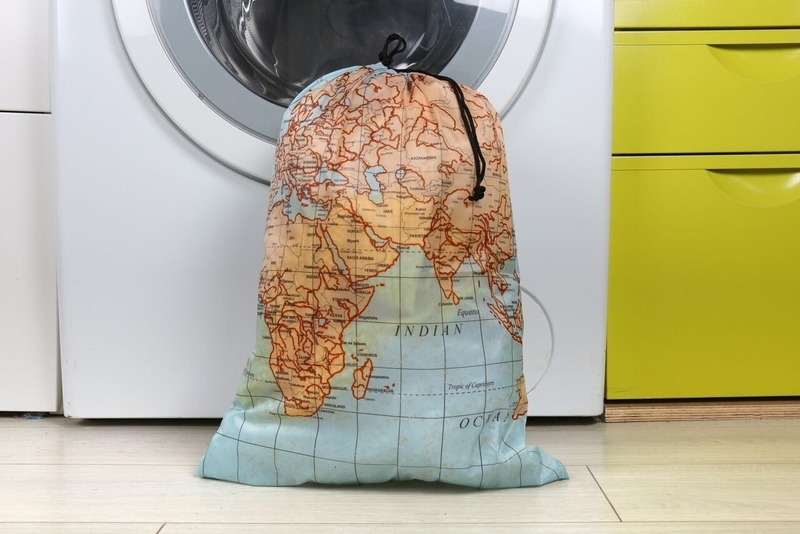 This laundry bag is the perfect size for travel — when not in use, it can fold up into a tiny compact bag that you can attach onto your carry-on! Get it from Amazon for $7.28. 7. An emergency manicure and pedicure kit because what's worse than a hangnail that are not on fleek? A hangnail while on vacation. This kit comes with three nail clippers, multi-purpose scissors, blackhead needle and loop remover, a cuticle trimmer, an ear pick, an eyebrow tweezer, a nail file, a peeling knife, a singled-edged double side stick, and a v-shaped push stick. 8. A collapsible water bowl for our canine companions! This food-grade, silicone item is perfect for when you're traveling with your good boy, but have 0 space in your backpack. 9. 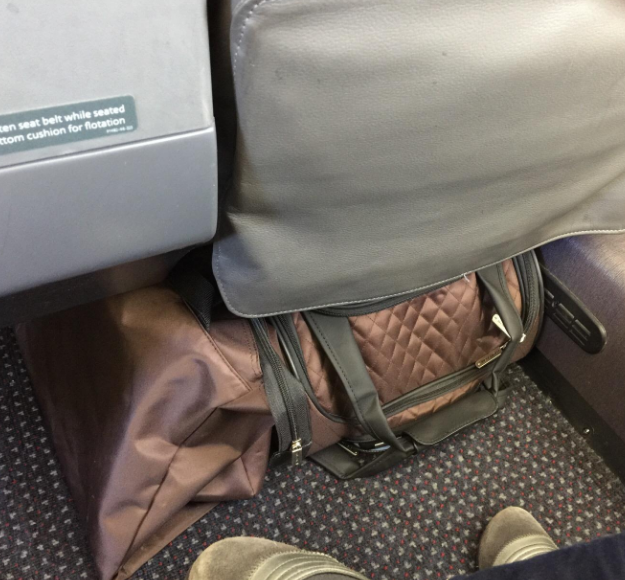 A carry-on bag you can store — YES — right underneath the seat in front of you. No more getting up mid-flight to see if you left your headphones in your stowed away bag. 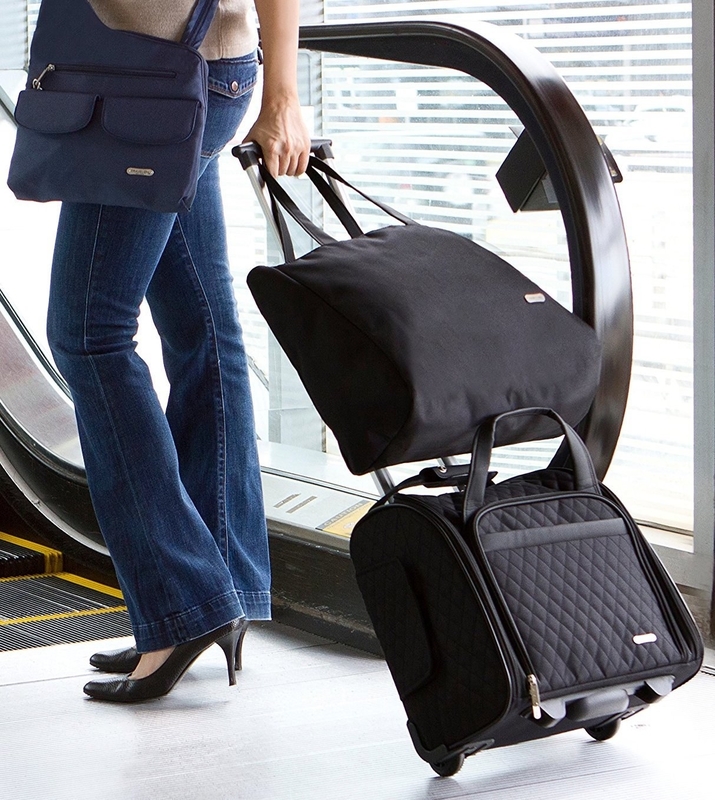 This carry-on features a front pocket (for easy access to chargers, headphones, etc.) and a large main compartment to fit all your essentials. PLUS! It comes with a back-up tote bag — just in case you need to fit some extra souvenirs in for the plane ride back. Get it from Amazon for $77.99 (available in 13 colors). 10. An on-the-go razor that guarantees a close, smooth shave while taking up almost 0 space in your luggage. Goodbye, horrible disposable razors I *used* to pack! This razor is designed with five blades, and comes with an extra blade and a compact storage case with holes at the bottom (that way water doesn't get trapped inside the blades AKA it won't rust). Woo! Promising review: "I cannot express how much my daughter and I love these razors! They are perfect for traveling, and the little grip is much easier to hold on to than I expected. Now there is no need to take those awful disposable razors on vacation — we can use the same quality razor that we used at home." —Anitra W.
11. 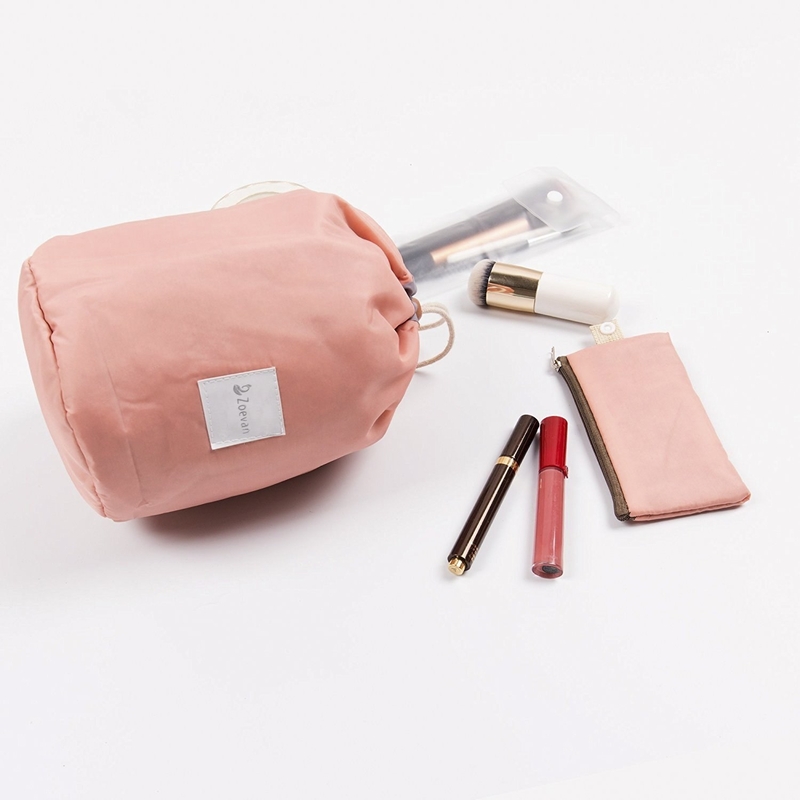 A waterproof cosmetics bag you won't have to unpack: everything can be stored upright, meaning you can keep this on your hotel bathroom sink for easy access. 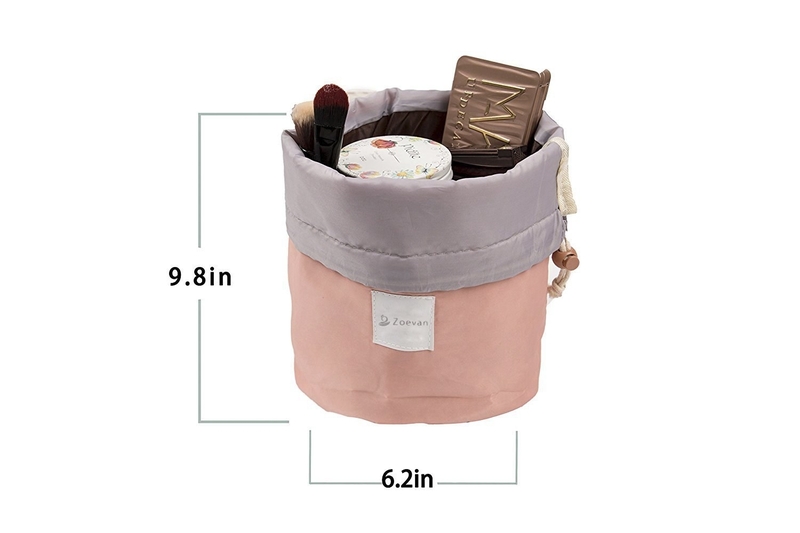 Just fold down the top half of this drawstring pouch and BAM! You will have easy access to all your makeup and haircare products! This also comes with a small removable pouch to store your travel-sized mascara, eyeliner, etc. Get it from Amazon for $7.29+ (available in three colors). 12. A lipstick-sized portable charger so that your phone DOES NOT DIE while you're stuck in a foreign country, desperately trying to understand Google Maps. Promising review: "I've been using this charger for a while now on road trips and music festivals, and it works absolutely great. I'm able to get at least one full charge of my iPhone out of it and usually more (depending on how much I'm using my phone at the time). Plus, it's small and I can usually find somewhere to keep it safe while I'm carrying it around." —Joey L.
13. A compact mirror complete with LED lights and a magnified portion that will let you do your makeup perfectly, no matter how bad the lighting in your hotel room is. 14. 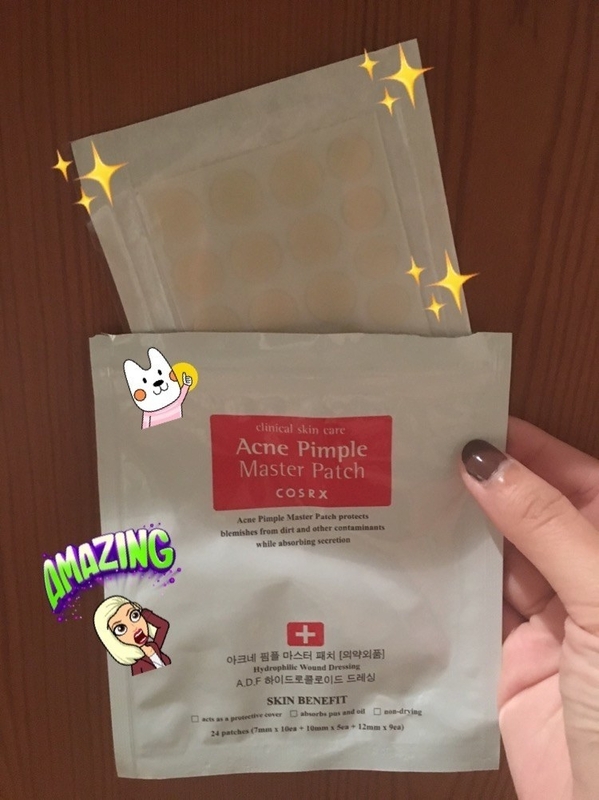 Acne patches you can put on a pimple overnight and BAM! No annoying I-need-to-pick-at-them blemishes to distract you from enjoying the sites of Paris, Italy, or wherever the heck you went on vacation. Get a pack of 24 patches from Amazon for $13+. Check out our full write-up here. 15. Disposable silicone earplugs that may help you say "GOODBYE" to discomfort. Ear pain during air travel is REAL, and babies have every reason to cry because of it. Just saying. This one os great quality, small enough to fit in your bag, and won't take up a ton of room in your suitcase. PLUS, it's inexpensive. Woo! 17. A travel-sized essentials kit complete with hydrating shampoo and conditioner, as well as a facial scrub and day cream. Say "GOODBYE" to the days of those drying, hotel-specific mini shampoo bottles. Plus, all of these products are plant-based and cruelty-free! Get it from Amazon for $9.55. 18. A chrome rack so you can hang up all the annoying, miscellaneous things that don't *really* have a spot in your suitcase. Ties, jewelry, scarves, belts, handbags, tank tops, etc. 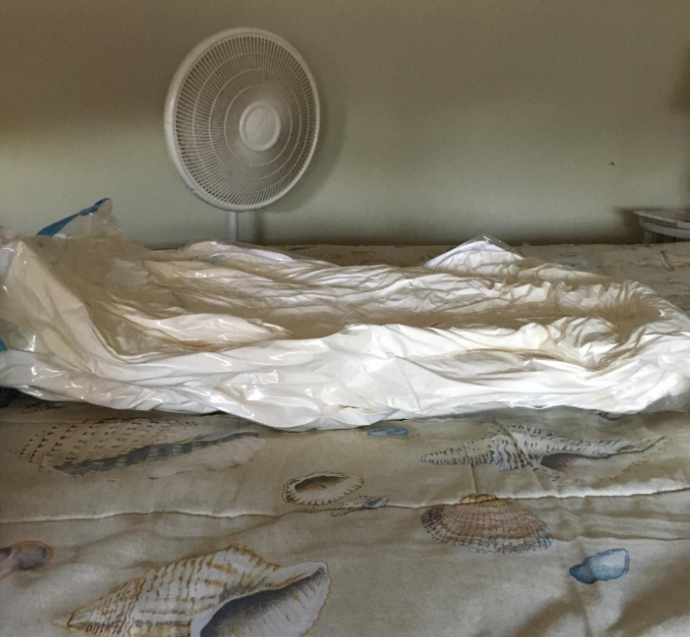 This is a great option for people who are traveling for extended periods of time and need a place to store smaller items that are used pretty frequently. Get it from Amazon for $8.57+. 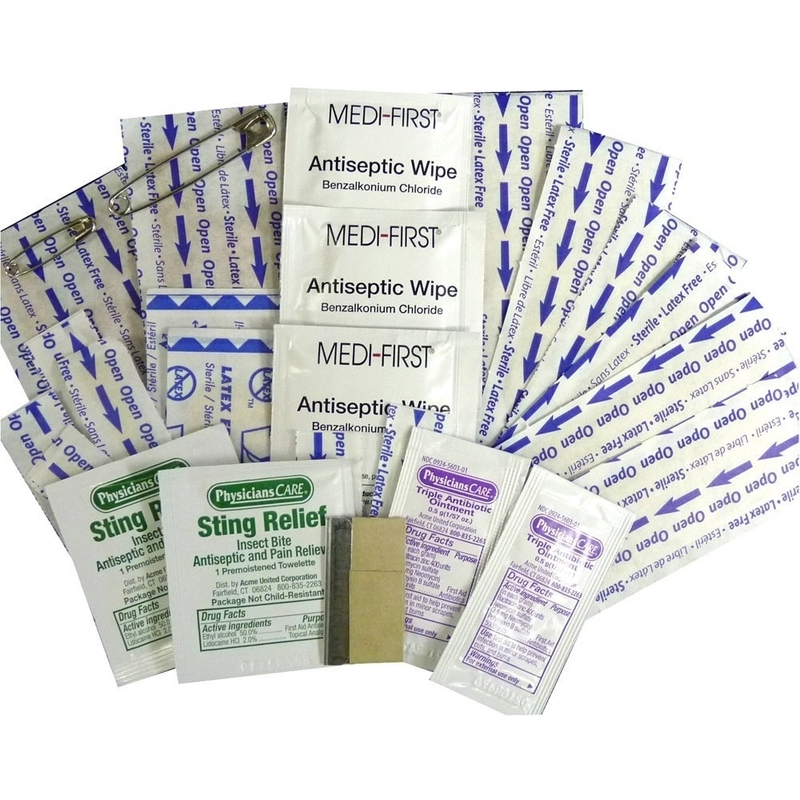 Promising review: "This is the perfect little first aid kit for bike rides or a quick hike in the woods. 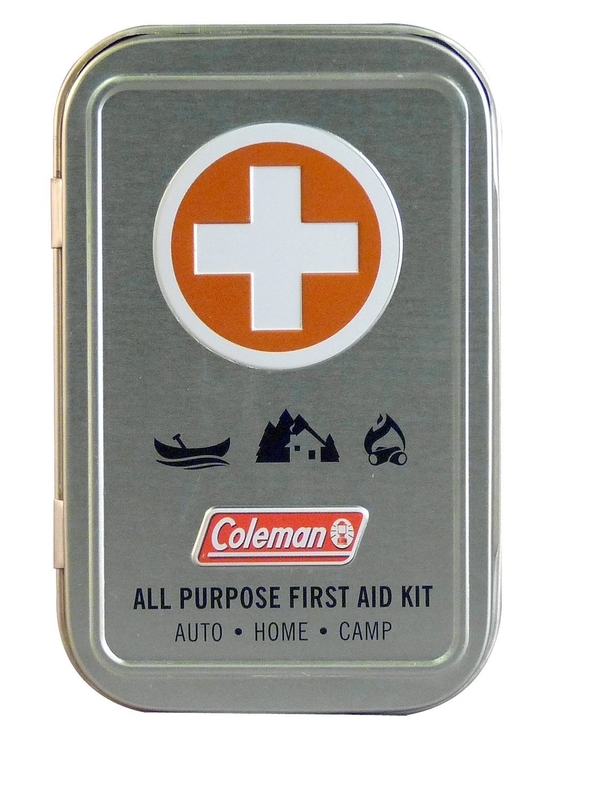 This kit comes with everything you need for the scrapes and bruises you get out in the backcountry, and the metal case is a definite plus in my book. Love it!" —Randy G.
20. Tiny and adorable pill-sized lipsticks for the beauty aficionado who needs color OPTIONS. These are so small, they'll barely take up any room in your carry-on. Get a pack of five from Nordstrom for $16. Check out our full review here (#7!). 21. A jewelry organizer that will be extra sweet to your earrings, necklaces, rings, butterfly clips, and so on. Why? It will become their home. Their home sweet home. 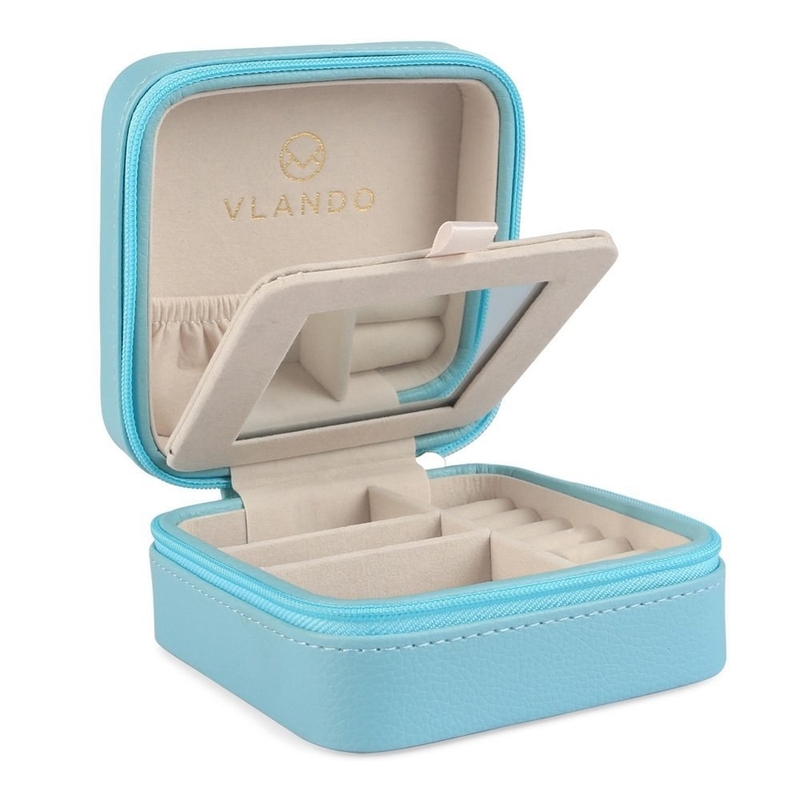 This organizer is super compact, but has enough slots to keep your jewelry readily accessible and easy-to-find. PLUS! This will help you NOT lose all your jewelry while on vacation. 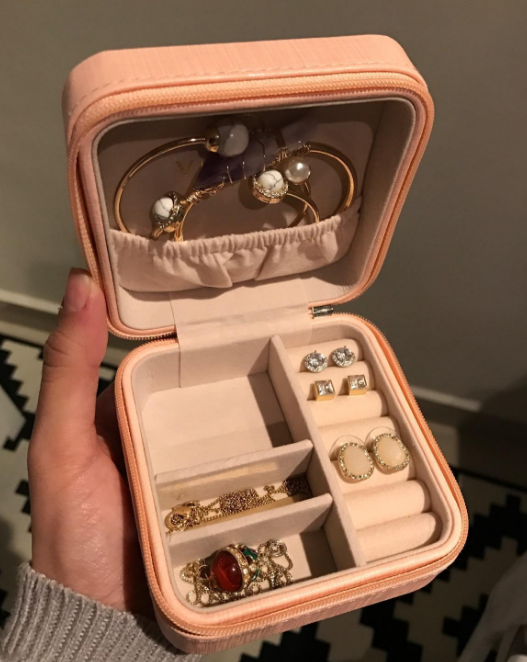 Because traveling = poor organization = forgetting your favorite earrings in an Airbnb and never seeing them again. Get it from Amazon for $11.99 (available in seven colors). 22. Packing cubes capable of helping you fit your entire 👏 friggin' 👏 wardrobe 👏 inside your carry-on. Plus, this keeps everything lookin' niiiiice and neat. Get them from Amazon for $22.99 (available in eight colors). 23. TSA-approved silicone bottles that let you pack your go-to moisturizers, shampoos, and face washes — WITHOUT HAVING TO WORRY ABOUT ANY LEAKAGE. These babies have anti-leak caps, meaning your conditioner won't ooze out of the bottle and ruin all your damn clothes. Get a pack of three from Amazon for $7.98+. 24. 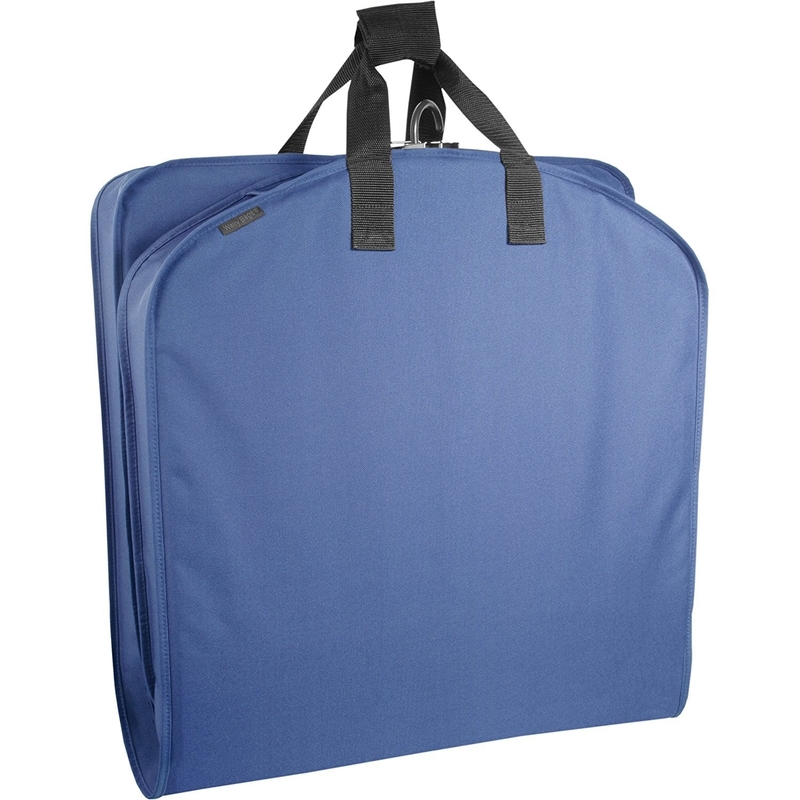 A carry-on garment bag PERFECT for destination wedding brides. 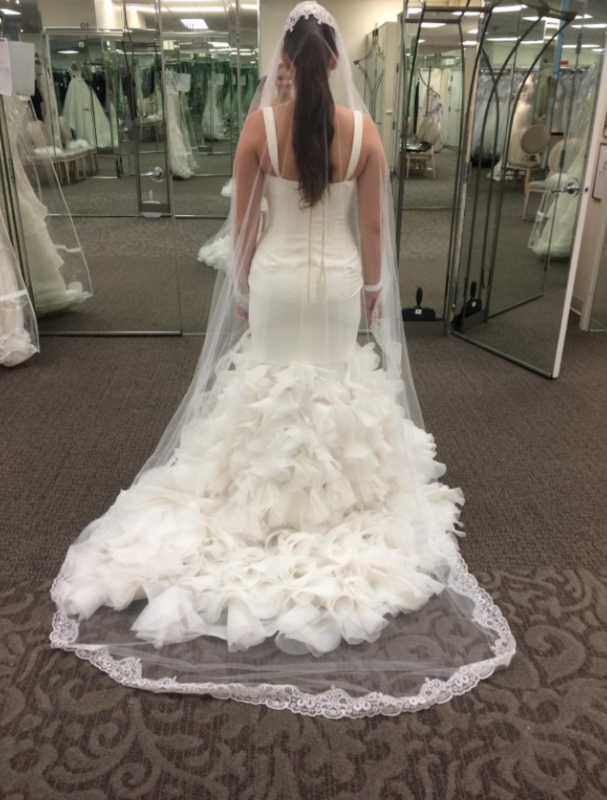 This will keep your gorgeous gown neat and wrinkle-free. 25. A helpful checklist that will remind you to pack underwear, deodorant, contact lens solution, and all the other essentials that you ALWAYS FORGET TO BRING. Do I have 900 maxi dresses in my suitcase? Of course! But did I pack my contact solution? Nope! No sir! 26. A neck pillow with chin support designed to help your head remain upright. This'll prevent your noggin from falling down whenever you begin to snooze. Get it from Amazon for $29.97 (available in seven colors and in child and adult sizes). 27. A folding toothbrush to keep your teeth (and these bristles) sparkling clean. This compact design will prevent your toothbrush from getting "dirrty," Christina Aguilera style. Get a pack of two from Amazon for $5.39. 28. Unscented, biodegradable, and flushable cleansing wipes for when you REALLY need to freshen up, but don't have access to a proper shower. These aloe vera- and Vitamin E-infused wipes are alcohol-free and hypoallergenic, and are great for long airport layovers long days spent walking through a new city. Get a pack of 32 from Amazon for $8.97. 29. A faux-leather duffel bag that'll hold all your weekend getaway essentials, without making it look like you're carrying an oversized gym bag. Chic and practical! Get it from Nordstrom for $84.95 (available in two colors). 30. Waterproof nylon shoe bags because you do NOT WANT the mud on your sneakers to transfer onto your brand new maxi dress, thank you very much. 31. A dry shampoo to trick people into thinking you actually showered. Because hey, hostel bathrooms? Not ideal. This violet-, sandalwood-, and musk-scented formula will karate chop the crap outta all that oil in your roots. Get it from Sephora for $13 (1.4 oz). 32. ...and a dry conditioner to nourish, soften, and detangle your ends. This magic potion makes it look like you *just* styled your hair. Get it from Sephora for $13+ (1.4 oz). 33. Odor eliminators because dirty clothes + overused shoes + a small bag = SMELLINESS. But not with these bamboo and charcoal bags! Psst, these deodorizing bags are chemical-free, prevent mold and mildew, and can be used for up two two years! 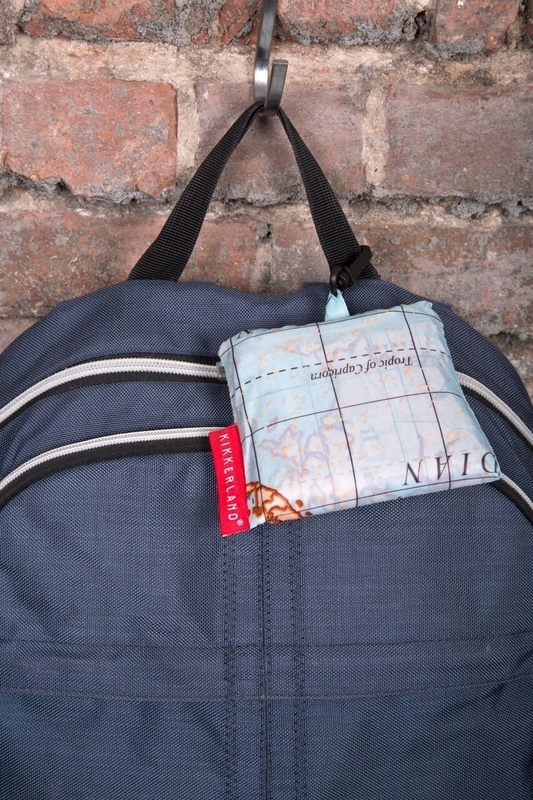 Promising review: "These are the best travel buddies! I always pack one of these in my luggage and one in my boyfriend's. 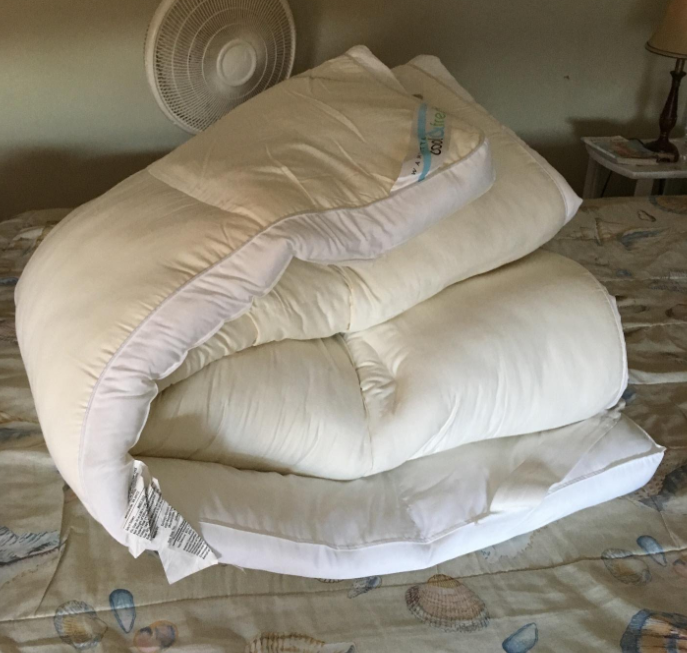 While traveling, we sometimes don't get to wash all our clothes, but these bags are brilliant at absorbing the smell of sweat on our clothes and shoes!" —J.L. 34. 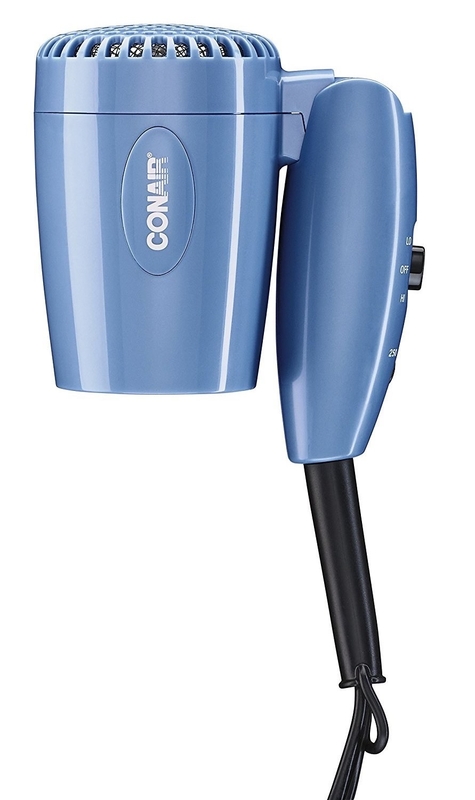 A foldable hair dryer that packs something itself: a lot of POWER. This tool may be small, but it is damn mighty. And of course, it is foldable — AKA is super easy to pack! 35. 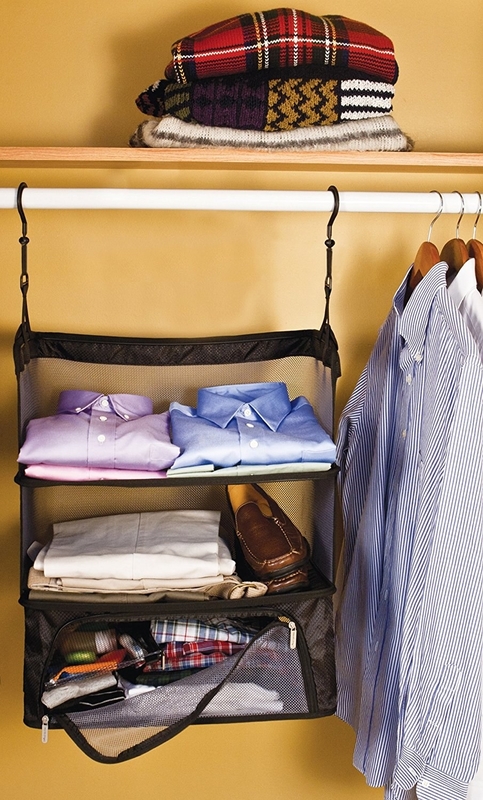 A shelving unit you can hang in your closet...and then drop directly into your luggage. Be gone, packing woes. You'll never have to live out of a suitcase again.